As a mom you’re more in tune with your baby than anybody else. But when there’s a change in how he looks or acts, should you head for emergency room? Here are the most common signs for alarm. 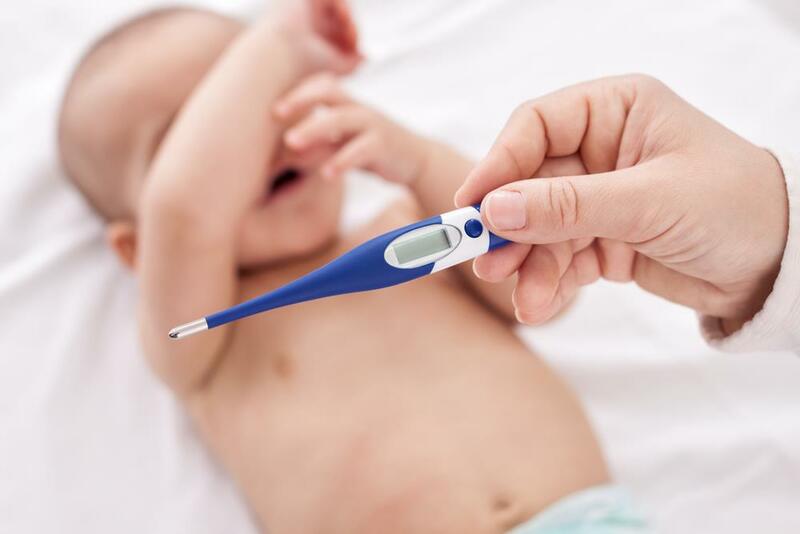 When baby gets sick it’s easy – and natural – to jump to the most serious conclusions, but it’s usually the severity of the symptoms themselves that show whether you should worry or not. The average child in an urban setting can pick up as many as six upper respiratory tract infections per year – so it’s most likely that the nasal discharge associated with a cold is what’s causing a slight snuffle. “If the child has a clear nasal discharge, has a fever under 38°C, is still happy, alert and feeding well, there’s no need to be concerned about the average cold or the snoring that’s associated with it,” says paediatrician Dr Stephen Higgs. 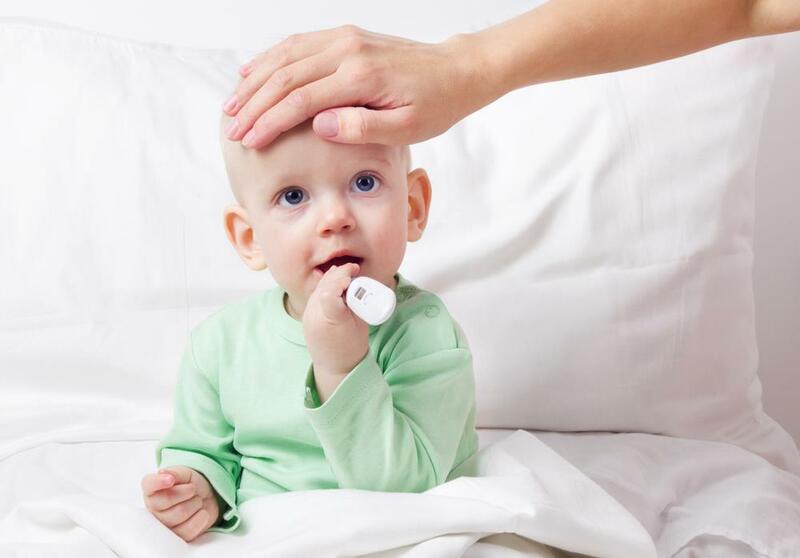 In infants under eight weeks you will need to clear their nostrils using saline drops or a nasal aspirator, as they cannot breathe through their mouths at this age. 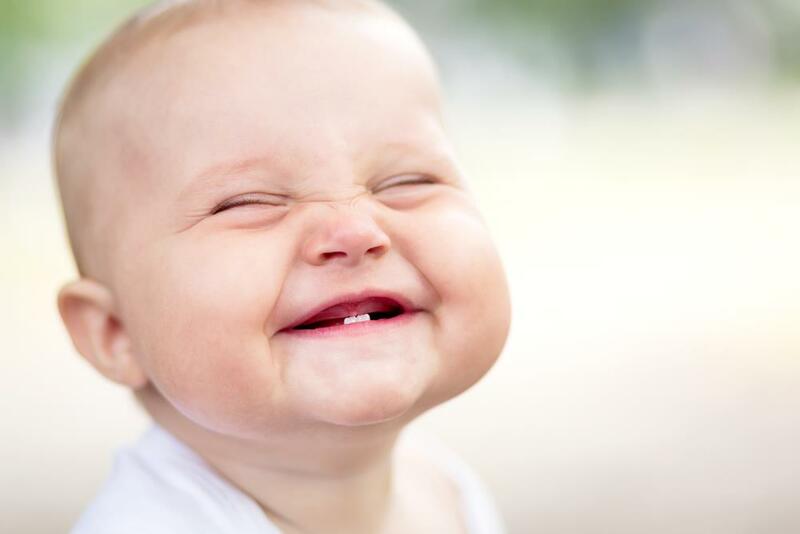 If your baby is older and snoring, he recommends you place him on his side to prevent his tongue from lying at the back of his throat. 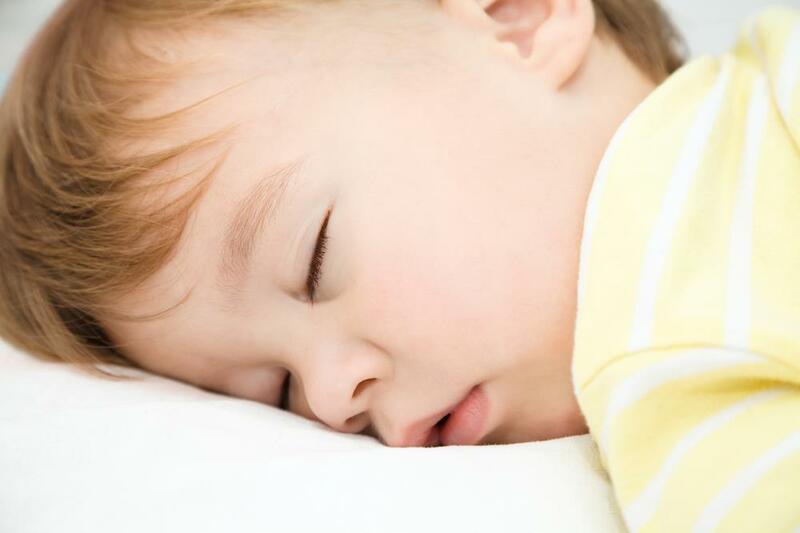 If you hear gaps in the snoring where there is no sound, your child is probably experiencing apnoea. This is usually related to enlarged adenoids or tonsils and will result in a drowsy and irritable child the next day. “If it’s very pronounced it can lead to a rise in blood pressure in the lungs, so we do tend to take this quite seriously,” says Dr Higgs. Your doctor may admit your child to hospital for the night to monitor how many apnoea episodes he has and the adenoids will likely be removed surgically. The most common cause of a swollen face would be an allergy to something like egg or peanuts, says Dr Higgs. Puffiness could also be caused by an insect bite or sting, in which case it will usually be localised. Applying an antihistamine cream to the area in the case of a sting, or giving it orally if there was a reaction to something your child ate, should ease the symptoms. Let your doctor know about the incident for advice on the way forward. Any allergic reaction in a newborn should be considered a potential emergency – particularly if your baby becomes either very quiet or very agitated, runs a fever, begins to vomit after a feed, or won’t feed. If he has an anaphylactic reaction – his face swells up, he develops a rash and he has difficulty breathing – head straight for the hospital! Swollen feet, hands and eyelids can also be an indicator of a heart condition or that your baby is suffering from heart failure. “It can also be an indicator of certain kidney conditions, although this is quite rare in a small child,” says Dr Higgs. A baby that has blueish feet or hands may just be because they have been exposed to a cold environment – some cuddles and warm clothes should solve this. “If you have a child who is sick, with a high temperature, they can also have blue feet and hands,” says Dr Higgs. The trunk, on the other hand may feel hot. This is one of the body’s natural responses to try and bring down the temperature, and can be a sign of serious illness that needs to be monitored, says Dr Higgs. If your baby begins to look progressively blue over the first few months of life, he may be suffering from a heart defect, says Dr Higgs. “This occurs when the red side of the circulation mixes with the blue side – in other words there is a leak in the heart or there are abnormal vessels,” he says. Other warning signs to look out for are that baby tires easily, gets short of breath and has a fast pulse rate. Get help fast. A baby that is not putting on weight in the first six months can commonly be attributed to feeding practices – especially if they are breastfed, says Dr Higgs. “Breastfed babies are lean compared to formula fed babies. They are often labelled as ‘not gaining weight well’ by clinic sisters, but they are healthy.” Rather than weight, it is inadequate growth in a baby’s height that is a much better indicator of normal growth, says Dr Higgs. In the majority of cases of small babies Dr Higgs has seen, “they are small because they have small parents or small grandparents and are simply going to grow into similarly small people”. Taking your baby for regular milestone checkups at your clinic or doctor, culminating in a full assessment when your child turns two, will raise any red flags. If your baby’s height falls below the third percentile, you will likely be referred to a specialist. 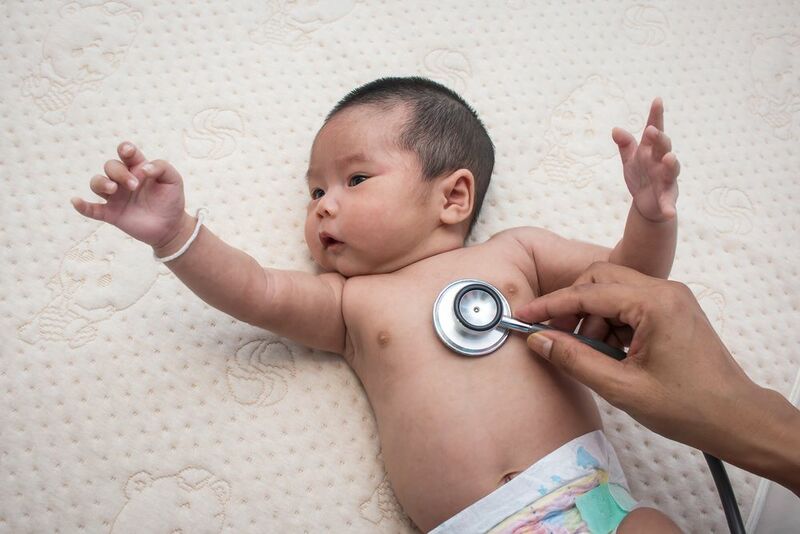 Medical causes for a baby not putting on weight or length can be related to a thyroid problem, heart disease or their endocrine system (such as a lack of production of human growth hormone). In the case of dwarfism, a condition that is very difficult to diagnose initially, a problem may only be confirmed when there is a shortening of the baby’s arm and leg length. In this case, the baby will appear low in height on the clinic growth chart and will be noted by the clinic sister or doctor. In a child that’s not yet verbal it’s very difficult to confirm if they are suffering from a headache. Low energy, a poor appetite, unexplained crying and pulling on the ear may indicate that they are in pain. Abdominal pain, teething, an ear or urine infection would be the most common causes of unexplained crying. A normal body temperature is 36.8°C. “Hypothermia in a baby is classified as a temperature of less than 35°C,” says Dr Higgs. This could occur if they are in an environment that is not heated or have not been rotected from the elements – something that medical practitioners would most commonly see in cases of neglect. “A preferable room temperature should be 22 to 24°,” says Dr Higgs. If the baby has not been exposed to the cold, a low temperature could indicate that they are in shock and are seriously ill. There are two things to consider: can your baby hear you, and can he see you? All babies have their hearing tested at birth. If they continue to fail hearing tests they will be referred on for ongoing repeat testing and, if necessary a specialist examination. “It takes a little while for a child to localise sound or visuals,” says Dr Higgs. “Some will do it at three weeks, others will only achieve it at eight weeks.” You will know if your baby is responding to sound if he startles when there is a loud noise, but he will only turn toward the sound after about eight weeks, explains Dr Higgs. When it comes to vision, there are some possible organic causes for a baby that is not tracking you with his eyes. “An ophthalmologist would check for cataracts, the baby may have a form of conjunctivitis, and premature infants who have been exposed to oxygen can also experience visual impairment,” says Dr Higgs. “By the time the child is three months old there should be a fair amount of visual communication between him and his parents,” says Dr Higgs. He adds that if after the age of about four months, you are concerned your baby is not responding to you, but will not reach out and touch a toy for example, or does not seem to “see you”, raise it with your doctor. Autism is obviously a consideration if a child is not engaging with you, but one has to be sure that vision and hearing are intact before considering this possibility. “This is usually picked up around 12 to 14 months when a child either stops talking and loses words they had learnt, or has delayed speech,” says Dr Higgs. « How long after a C-Section can I take a bath?